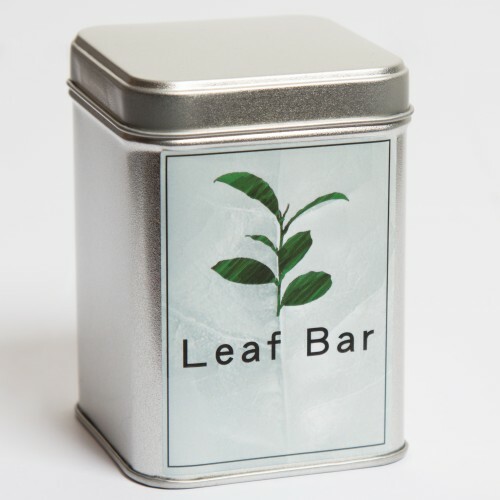 Fuding green tea gently scented with Jasmine blossoms over seven courses of natural scenting. 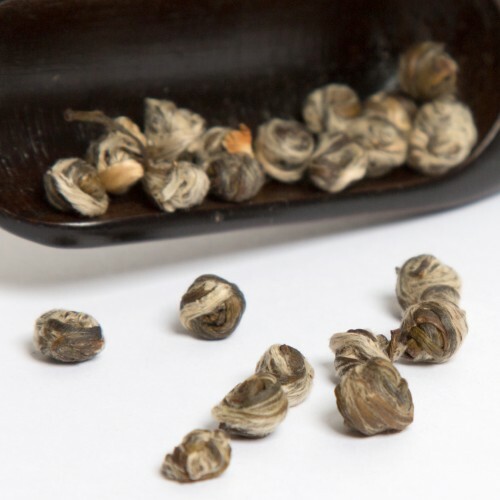 This grade of Jasmine Pearls does not acquire its Jasmine aroma from portion of Jasmine blossoms mixed into the tea leaves, but is made by exposing the tea leaves to the aromatic Jasmine blossoms over six courses, after each the Jasmine blossoms are again separated from the tea. Then the tea leaves are rolled by hand in small pearls that will unfurl once you start infusing the tea. Teaware Glass or porcelain teapot or gaiwan is the best choice. We recommend avoiding brewing scented tea in any unglazed teaware due to material soaking up the scent. Gong Fu brewing Multiple infusions at 80..85C. Start with 30..40 sec and gradually increase to 2 min.